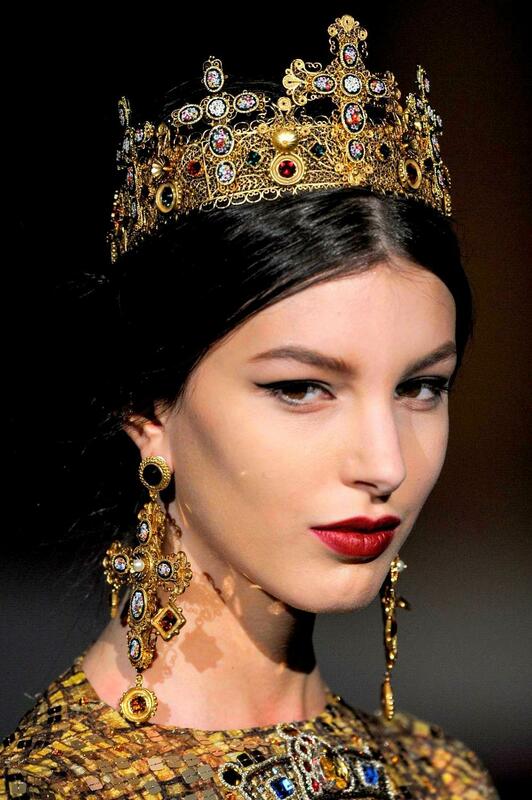 I remember watching the Dolce & Gabbana F/W show and lusting for those gold, embellished crown headbands. Then again, I remember choking as soon as I checked out the price on Net-a-porter. So then I thought: why not do it myself? Cut the cardboard to the height you want your crown to be. The length of the cardboard should be more or less equal to the length of the headband. Glue the cardboard to the back of the headband. If you need to, add some cardboard at the front of the headband too to make it easier for the trims to stick. 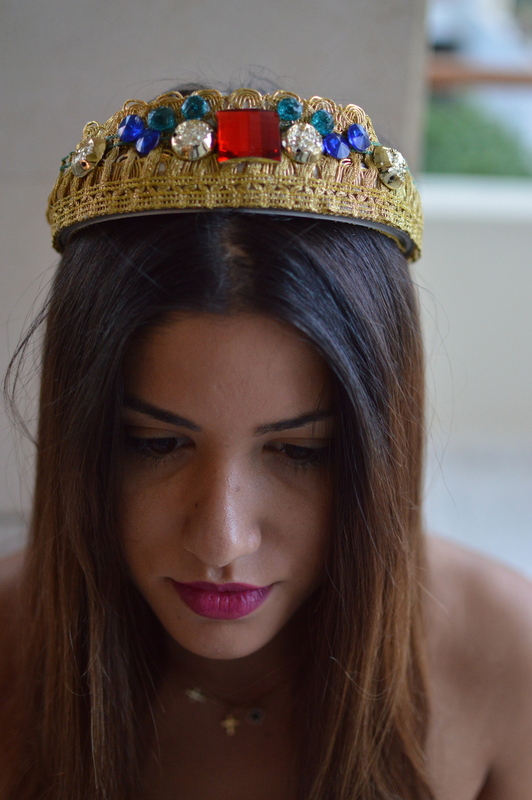 Measure the length of the gold trim on the length of the headband, cut accordingly and glue. Repeat with more trims to cover the whole area of the headband. You can use different types of trims to enrich the whole look. Make sure that the trims cover the edges and the back of the headband. Start adding the coloured crystal stones. Be creative with your design. I went for a rather subtle look in terms of the number of crystals added and the colour combination. My advice is to do whatever represents you and your style the most. Leave it standing for about 30 minutes allowing the glue to dry out.